Sick of that stupid griffon on the sides of the main menu bar? Wouldn't you rather have a cool looking octupus, murloc or Diablo 3 art in it's place instead? Well, look no further cause the iSquidMod is here! + WoW Patch 6.0.2 ready! + Add 7 new grafics! + Fix 3 grafics (druidbear, murloc, allianzcrest). + Add 9 new grafics! + Add 19 new grafics! Omg thank you so much! Works great! Any update or alternative for BFA? I second that, I really miss this addon. It was small but added such great flavor to the UI. Anyone have any idea how to fix it? Hello! Thanks for addon im using it since MoP. 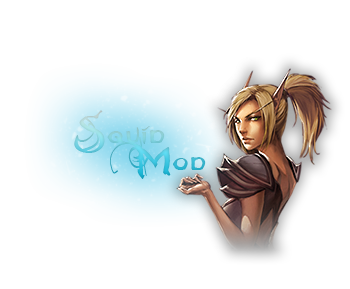 Are SquidMod is ready for prepatch of Legion or new addon? Last edited by Imithat : 03-23-15 at 02:16 PM. how can I get the layout like your screenshot? I downloaded nmainbar rmedia and ouf_diablo, but seems still missing some material? Now I'm thinking, if SquidFrame uses SquidMod to change Blizzard's default art, how can it change Bartender4's BlizzardArt and SquidMod don't, what's the trick? Is there a way to make SquidMod work with Bartender4? I'd really like to see it happens, if anyone could point me out the directions I'd be very glad (I can code a bit but have no idea how wow addons work). 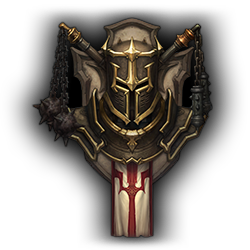 Is it possible for you to tell me where you got the class crests as .TGA? I was looking for these to use in a new addon and I saw your addon had them - are you able to help me out with this? The ones in your addon package are missing a bit at the bottom. 4 example search about "wow mage crest png" or "wow mage crest tga"
Last edited by Imithat : 10-20-14 at 02:30 PM. I find some new crests, can u add them to squidmod? Last edited by Horotu : 10-20-14 at 11:25 AM. Last edited by Imithat : 10-15-14 at 09:50 AM.